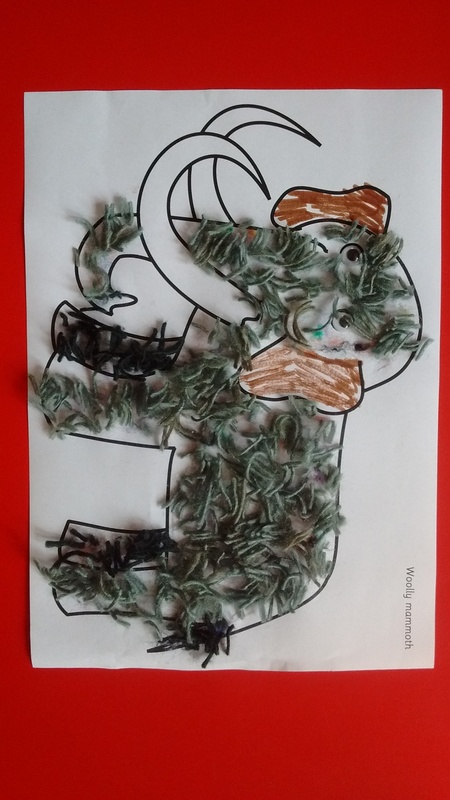 We glued short lengths of wool to a picture of a woolly mammoth and finished it off with googly eyes. 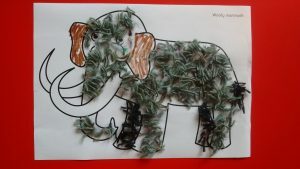 The children should stick on googly eyes and then apply glue to the picture and stick wool all over the mammoth’s body to make it nice and shaggy. 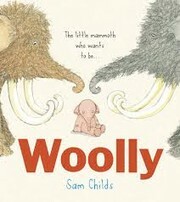 If they can avoid making the tusks woolly so much the better.